Within few days after Indian government released India’s first Drone Policy & Regulations, a Mumbai-based drone flight training and drone/UAV services startup Droni Tech has secured $500,000 in seed funding from Eagle Group and other unnamed angel investors. The startup will use the freshly raised capital to drive research and development in Mumbai and the United States as well as to ramp up growth through sales and marketing, reported VCCircle. Droni Tech is a sub-brand of the parent company Drovation Software Solutions Pvt. Ltd., which was founded this year by Onkar Bhosle, Rohit Shirke, Chirag Patel and Anisha Bhosle. 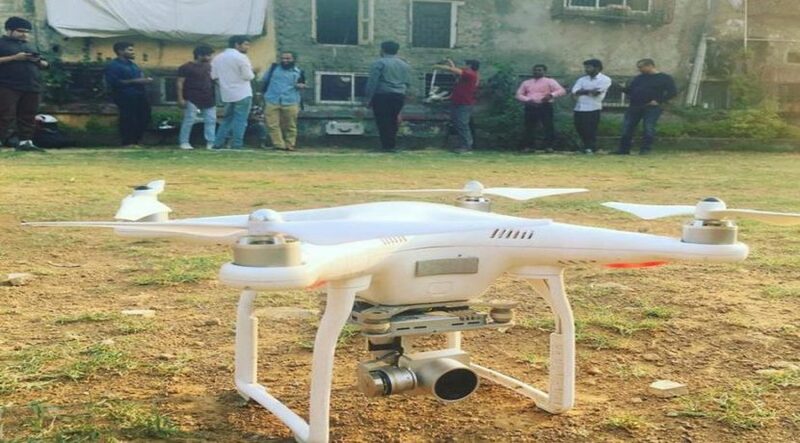 Essentially, Droni Tech train and certify students to fly Drones/UAVs safely via short courses consisting a standard operating procedure. Students are given theoretical training in classrooms along with on-ground practical field flying experience. additionally, the startup also offers Drone-based services including aerial imagery, surveillance and reporting important key data for businesses. Droni Tech is also developing a prototype UAV under its flagship for industrial purposes, the working model of which will be launched soon. Notably, Droni Tech co-founder Onkar Bhosle was co-founder of SaaS startup Customer360, which was acquired by Interactive Intelligence, a US-based software firm, in 2015. While, Rohit Shirke is an avid Drone Pilot with 10+ years of business development experience in corporate domain in India and Globe. Chirag Patel is also a Drone flying professional expert having implemented numerous projects across the globe. Originally published at www.indianweb2.com on September 1, 2018.